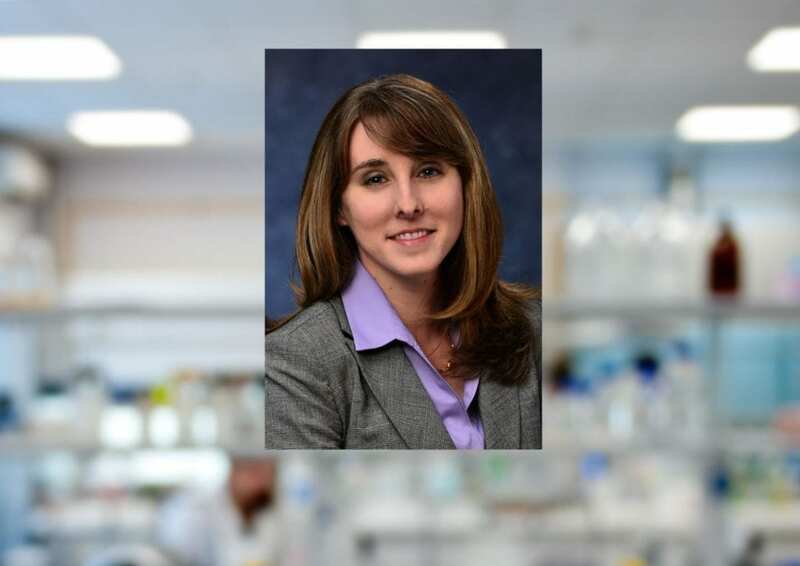 PITTSBURGH (October 26, 2018) … In recognition of her research to develop the next generation of electronic devices, the American Association for the Advancement of Science (AAAS) named Susan Fullerton, Assistant Professor of Chemical and Petroleum Engineering at the University of Pittsburgh's Swanson School of Engineering, a recipient of the 2019 Marion Milligan Mason Award for Women in the Chemical Sciences. Dr. Fullerton was one of only five recipients nationwide recognized for "extraordinary contributions through their research programs and demonstrate a commitment to move their fields forward." "Susan is extremely deserving of this honor, which is a testament to her novel, groundbreaking research in ion transport at the molecular level," said Steven Little, the William Kepler Whiteford Professor and Department Chair of Chemical and Petroleum Engineering. "She is establishing a name for herself in the field and I know she will have even greater success ahead." First awarded in 2015, the award was made possible by a $2.2 million bequest to AAAS by chemist and long-time AAAS member, Marion Tuttle Milligan Mason, who sought to support the advancement of women in the chemical sciences and to honor her family's commitment to higher education for women. The Marion Milligan Mason Fund provides grants of $50,000 every other year to women researchers engaged in basic research in the chemical sciences. In addition to research funding, the program provides leadership development and mentoring opportunities. Dr. Fullerton's research group seeks to establish a fundamental understanding of ion-electron transport at the molecular level to design next-generation electronic devices at the limit of scaling for memory, logic, and energy storage. Current research interest include nano-ionic graphene memory (NSF-ECCS/GOALI), electrostatic double layer (EDL) gating of 2D crystals for low-power electronics (LEAST center, SRC/DARPA), exploring the strain-induced semiconductor to metal transition in MoTe2 (NSF-DMR) and polymer electrolytes for reconfigurable plasmonic and photonic elements (DARPA A2P).